Credit The Pagosa Daily Post. During a strategic planning session held on Monday, the San Juan Water Conservancy Dis- trict (SJWCD) board of directors brought a familiar reservoir project back into the public eye. That reservoir, known as Dry Gulch or the San Juan River Head- waters Project, was seen by voters on the November 2017 ballot as Ballot Issue 5A. The SJWCD’s request for that ballot was specifically an increase to 1 mill to help with land acquisi- tion for the Dry Gulch project. However, local voters were against this ballot issue, with 75.44 percent of voters being against the measure (2,697 votes), while only 878 voters, or 24.56 percent, were in favor. During the work session on Monday, the SJWCD board of di-rectors came together in hopes of getting together a framework for a strategic plan that will guide the board in the future. At one point in the meeting, the board of directors, under the guidance of volunteer consultant Renee Lewis, discussed some potential goals to include in that strategic plan. Not every SJWCD board member may agree that the board needs to proceed with building a reservoir, Lewis stated. “But, you also have to keep in mind that you’re still contractually obligated with CWCB [Colorado Water Conservation Board] to be the lead manager of that project,” Lewis said. Legally, SJWCD is still the manager of that project, and also, Pagosa Area Water and Sanitation District (PAWSD) is no longer involved in this deal, Lewis noted. The only things asked of PAWSD is to not inhibit SJWCD from accomplishing its goal and to help the district with water rights in any way that it can, she added. Those water rights, according to SJWCD Chairman John Porco, are an asset of the district and are “virtually, entirely, keyed” to the eventual construction of a reservoir. “That, I think, has to be in the plan, that it’s not off the table,” Porco said. The SJWCD as a whole should think “long and hard” about not including the potential construc- tion of Dry Gulch in its strategic plan, Porco added. SJWCD board member Al Pfister later questioned whether or not the water has to be specifically put in Dry Gulch, or be put in another res- ervoir for the same beneficial use. At the time of the meeting, Porco did not know the answer to Pfister’s question and suggested contacting the board’s legal counsel. “I agree that we should not just be giving our water rights away. That to me would be negligence on our part,” Pfister said. The Dry Gulch project should not just be abandoned, Pfister noted, but there should also be an alternative for those water rights. Per Porco’s estimation, in talks with former legal counsel, he was informed that those water rights were for a specific use. Later in the discussion, SJWCD board member Bill Hudson pointed out that the district has 24,000 acre feet (AF) of conditional water rights for a reservoir at West Fork. The SJWCD has had these water rights since 1967, Hudson noted. According to Hudson, the district needs to file a point of diversion (POD) change on those water rights before 2021. In addition to the POD, the SJWCD has to define a location of storage for the water, Hudson added later. As part of the strategic planning he district’s current legal coun- sel on these issues. “Should we talk about it eventually? Yes.” Pfister said. Amidst more discussion about whether or not this topic should be discussed, SJWCD board member Doug Secrist noted that all of these things should be included in the strategic plan. “We are not in a position here today to settle those and to decide what we’re going to do specifically because we still have a lot of re- search to do,” Secrist said. The West Fork water rights are a big issue and due diligence should be exercised on it, but the SJWCD needs to find out how exactly to first proceed, Secrist added later. “Every six years the water district has gone through due diligence, gotten that right reconfirmed as conditional. 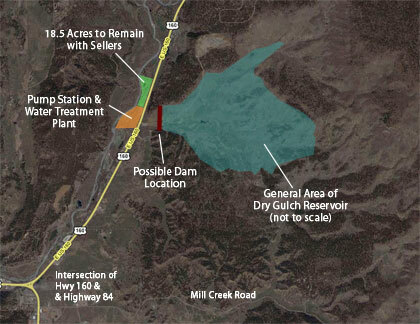 We still intend to build a reservoir at the West Fork, not at Dry Gulch, at the West Fork,” Hud- son said. In order to shed some light on this topic for the district, Lewis, who had been involved in the his- tory, offered some background. After the local drought of 2002, reservoir discussions took place, and West Fork was listed as one of the site locations, Lewis explained. Lewis explained that, at the time, that’s why PAWSD and SJWCD went into this deal together and then PAWSD eventually deeded its share of 10,000 AF to SJWCD. Due to this deeding of 10,000 AF, SJWCD has been paying for the due diligence on it. “This location was obviously abandoned once the purchase of Running Iron Ranch went through,” Lewis said. The SUN reported in May of 2014 that Running Iron Ranch was purchased to support the original 35,000 AF reservoir plan; however, that plan eventually got reduced to the 11,000 AF plan we know today. Later, Lewis explained that there is a legal doctrine titled the collec- tive system theory, which is still ac- cepted in water court in Colorado. What this doctrine means is if the SJWCD is still filing diligence on its Dry Gulch water rights and the district is still making efforts toward that project, the water court will approve its collective system water rights, Lewis explained. After more brief discussion about the various water rights issue, Porco again suggested ta- bling the discussion in order to do more research and consult legal counsel. However, Hudson responded by pointing out that the West Fork water rights are two times bigger than the Dry Gulch ones and something needs to be done on the West Fork rights in two years. “What we’ve established is that these water rights are married together, and so that they both need to be addressed as we move forward with the strategic plan,” Secrist said. • Maintaining a combined debt service coverage ratio of 1.25 per- cent. • Maintaining adequate reserve requirements. • Water and wastewater analysis performed as separate utilities and minimizing the rate impacts for both. • Fund future utility operations and capital investments in the most financially prudent way possible. Lay also explained that when it came to the water utility there were some assumptions factored into the rate study. • Utilizing annual cost escala- tion factors, 3 percent for both capital projects and operations and maintenance (O&M) fixed/variable expenses. • Using a 2 percent growth rate for account growth based on PAWSD’s projections. • Accounting for a consumption decrease in 2021 and 2025 to plan for a potential drought period. • A decreased capital improve- ment fee in 2019 to $1,509 per equivalent residential unit (ERU) from $2,658 currently. • Also decreasing the raw water acquisition fee to $1,726 per ERU from $1,959. The presentation then moved to what PAWSD’s water rate revenue projections are, as well as projec- tions for funds with no rate adjust- ments for water utility. Regarding water rate revenue projections, Lay explained that these projections are based on 2 percent account growth rates, but lso include a 5 percent reduction for consumption. Lay also added that these water rate revenue projections do not include any rate increases from a revenue standpoint. From the graph within the pre- sentation, PAWSD is projected to increase its water rate revenue each year aside from the fiscal years of 2021 and 2025 in which that 5 per- cent consumption decrease occurs. Despite those decreases in those two years, in the fiscal year for 2028, PAWSD is projected to have about $4.2 million in water rate revenue. Conversely, with no rate adjust- ments or debt in regard to water utility, PAWSD is projected to spend more funds than it currently has in the fiscal year for 2018. This deficit is only projected to grow larger with each fiscal year, and, by 2022, PAWSD is projected to use about $10 million while only having about $4 million available. For the years 2023-2028, PAWSD would be using about $6 million whilst having only about $4 mil- lion available with no debt or rate adjustments. Lay then presented the board with the three rate scenarios for water utility. This scenario would see rate increases from 2019 to 2021, three months of O&M reserve with no re- duction, 100 percent or $500,000 in annual waterline expenditures and the Snowball treatment plant project being debt funded by $3 million. Waterline expenditures can also be described as waterline replace- ment, PAWSD District Manager Justin Ramsey added. The proposed financial impact of this scenario on PAWSD custom- ers could raise their bill an addi- tional $19.35 from the current total of $68.16 to $87.51 in 2028. All three proposed financial impacts also include the proposed rate increase for wastewater as well. For all three scenarios, the Snowball treatment plant is debt funded, Lay added. This scenario would have rate increases from 2019 to 2023, O&M reserves would be reduced below a three-month threshold in 2021- 2024, and waterline expenditures would also be reduced to 20 per- cent or $100,000. Within the second scenario, PAWSD customers could see their bill increase from the current amount of $68.16 to $82.17 in 2018, an increase of $14.01. The final alternative, which Lay noted as the “preferred” scenario, involves a 6.5 percent rate adjust- ment. This scenario has the same rate increase and O&M reductions as described in the second scenario. However, in this final scenario, only 50 percent or $250,000 would be allocated for annual waterline expenditures. The financial impact within the preferred scenario would see PAWSD customers average bill in 2018 go from $68.16 to $85.56, an increase of $17.40. Geothermal Greenhouse Partnership (GGP) welcomes Colorado School of Mines (CSM) and Colorado Geologic Survey back to Pagosa Springs this week. CSM’s seventh Geophysics Field Camp builds on previous years’ research into Archuleta County’s geothermal plumbing. Wednesday, May 23. The workshop is at the Archuleta County CSU Extension building from 6 to 8 p.m. The GGP workshop contains two presentations. Dr. Andrei Swidinsky and Stephen Cuttler of CSM will present a seven-year retrospective of the geophysical data collected by CSM students. Each year’s field camp adds to our understanding of the underground structure of our geothermal aquifer. 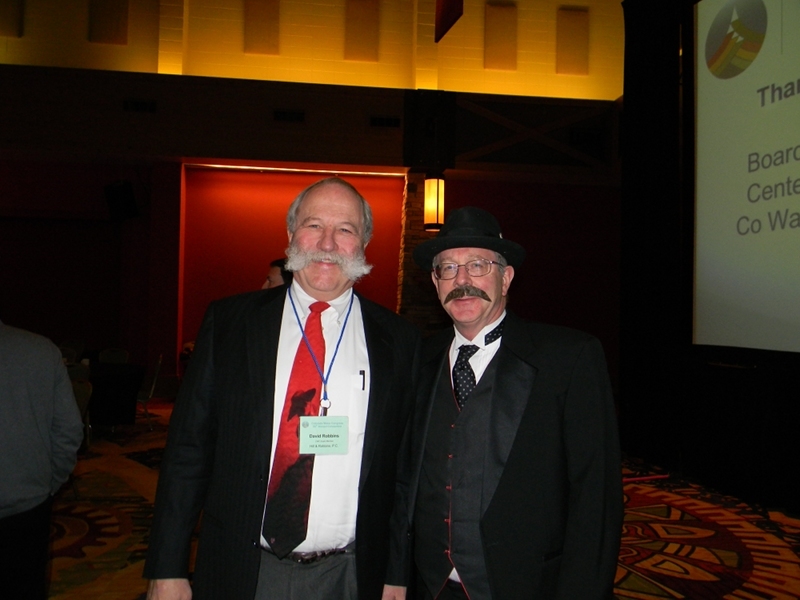 Dr. Paul Morgan is senior geo- thermal geologist at Colorado Geological Survey. In 2017, Morgan published Origins and Geothermal Potential of Thermal Springs in Archuleta County, including Pagosa Springs, Colorado, USA (Revisited). The paper was first presented at the international Geothermal Resource Council’s 2017 conference. The Archuleta County public can hear Morgan’s revised interpretations at the GGP workshop. The GGP is a 501(c)(3) nonprofit operating an educational park in downtown Pagosa Springs. The nonprofit park demonstrates geothermal direct energy use, year-round horticulture and environmental awareness. Twenty-first century water conservation and geothermal potential are priorities of GGP’s mission. GGP’s Education Dome is busy with student and volunteer activity, and the Community Garden Dome and Innovation Dome are being constructed. Pagosa Springs Centennial Park’s Riverwalk is the site of the GGP project. There is no charge for the GGP’s geothermal resource update work- shop, although donations to the nonprofit are accepted. The public is welcome. 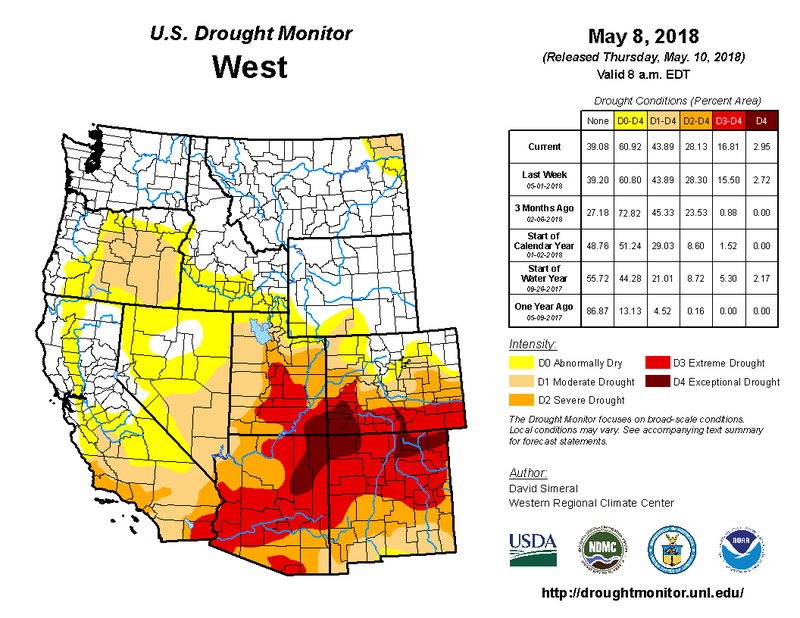 West Drought Monitor May 8, 2018. 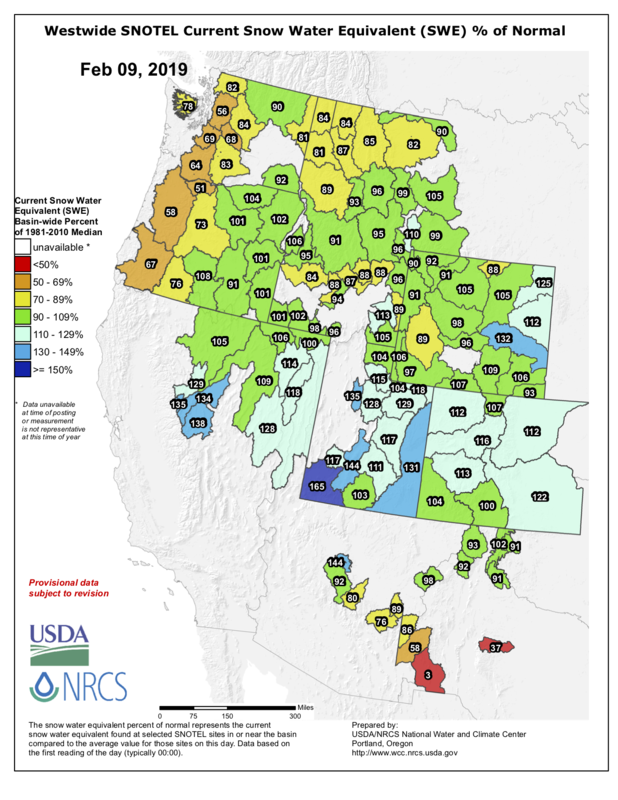 The Pagosa Area Water and Sanitation District (PAWSD) board held a public hearing on [May 1, 2018] evening to discuss the 2018 Drought Management Plan and to take public comment. PAWSD District Manager Justin Ramsey began the presentation by briefly discuss- ing the precipitation levels for the district. PAWSD is going to base these triggers off of what the district used in 2017, Ramsey noted. When 90 percent of that use is met, that is what will trigger level one of the drought management plan, Ramsey stated. Level two is triggered by 70 percent use, 50 percent would trigger level three, 40 percent triggers level four and 30 percent use will trigger level five, Ramsey described. Graphic via Geothermal Greenhouse Partnership. Geothermal Greenhouse Partnership is a volunteer-driven 501c3 educational organization, building a Pagosa-scale botanic park within Centennial Park on the San Juan River Walk. Its mission is “to educate the community in sustainable agricultural practices by producing food year-round using local renewable energy.” Demonstrating the value of Pagosa’s geothermal resource remains an organizational priority. The October 2017 Smart Growth America Report listed the GGP as an important amenity for the community. Both the Archuleta County Community Economic Development Action Plan and Downtown Colorado Inc. identified the GGP as a priority for downtown economic revitalization. With the Education Dome completed in 2016, the GGP began fulfilling its mission in 2017. In GGP’s first year of operations, the Education Dome and Amphitheater became busy gathering places. GGP hosted its 5th Colorado Environmental Film Festival Caravan in downtown Pagosa. Five Lifelong Learning Workshops explored various environmental issues and celebrated the biodiversity of the San Juan River Walk. Two well-attended special events included the first San Juan Sounds live concert and the 2nd Colorfest Breakfast with Balloons. Pagosa’s youth began horticultural activities and GGP’s volunteers nurtured an abundant garden for the community. 2018 promises more classes, educational workshops and special events in Centennial Park. Children from 4-H, public and charter school classrooms, and home schools are already learning each week in the Education Dome. The 6th Environmental Film Festival is planned for mid-April. Lifelong Learning Workshops will include in-depth education about the wise use of Colorado’s water. Live music and performance are planned for the GGP Amphitheater, as well as the 3rd Colorfest Breakfast with Balloons. The Geothermal Greenhouse Partnership operates through a professional Board of Directors, numerous volunteers, five strategic committees and an enthusiastic membership base. GGP committees include (1) Soil, Seeds and Water; (2) Site; (3) Fundraising and Special Events; (4) Landscaping; and (5) Programming. An informational question and answer session for the community is planned for January 2018. Learn more at the GGP website at pagosagreen.org. Sally High is the Geothermal Greenhouse Partnership Board President. Tens of millions of people, billions of dollars of agricultural production and an enormous amount of economic activity across a vast swath of America from California to the Mississippi River are all dependent on rivers born in the mountains of Colorado. In a time of mounting demand and limited supply, the need for all citizens to better understand and participate in decisions affecting this critical resource is paramount. Colorado’s population is expected to double by 2050, with a good portion of that occurring on the Western Slope. Where will all that water come from? 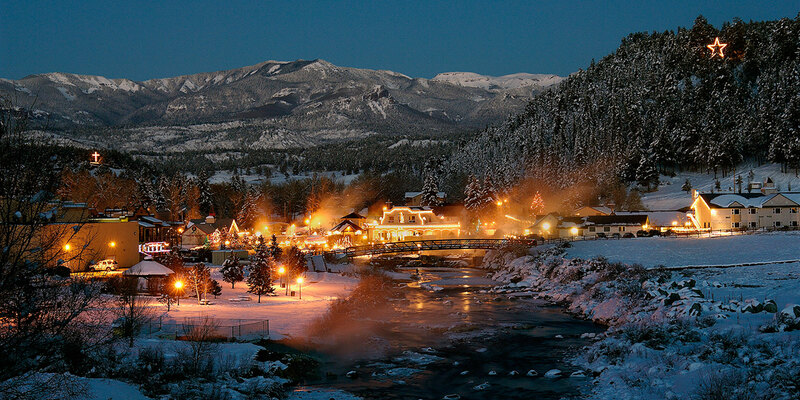 To discuss this, as well as a multitude of other issues, Pagosa Springs will once again be the location for the educational 11th annual Water 101 and 201 seminars. Sponsored by the Water Information Program, the seminars will take place on Oct. 5 from 8:30 a.m. to 5 p.m. and on Oct. 6 from 8:30 a.m. to noon at the Ross Ara- gon Community Center (451 Hot Springs Blvd.). The seminar qualifies for 11 continuing education credits (CECs) for Realtors and six CECs for lawyers for completion of both days. The seminars are open to the general public as well. Topics include water law, an explanation of water-related agencies and organizations, the Colorado Water Plan and implementation, as well as discussion about timely and important water topics and issues. The 201 session will provide more in-depth information on water law to include compacts and the water court process. The seminar features a lineup of quali ed speakers, including the keynote, Colorado Supreme Court Justice Gregory Hobbs (retired), as well as representatives from fed- eral, state and local agencies. Space is limited, so register early. The early-bird registration fee is $40 before Sept. 22 for the 101 workshop, $30 for the 201 session before Sept. 22, and $60 for both days. For those seeking CECs, add $10 to each of the preceding. The registration fee includes snack and an information packet both days, as well as lunch on Oct. 5. For more information or to register, go to: https://swwcd.org/ event/water-101-201-seminar, contact the Water Information Program at 247-1302 or visit http://www.waterinfo.org. 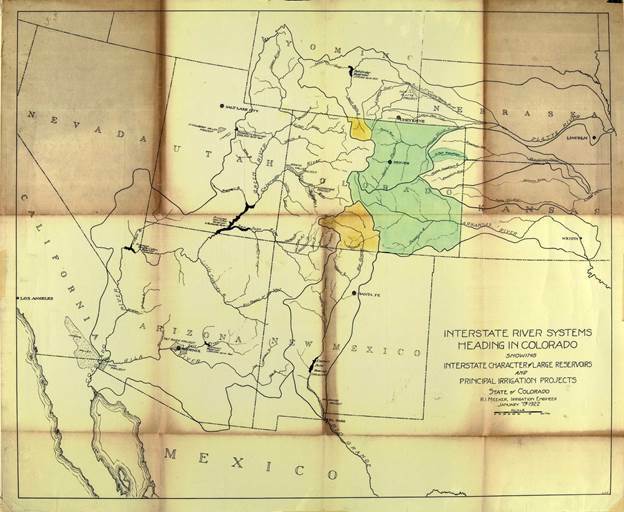 Delph Carpenter’s 1922 Colorado River Basin map with Lake Mead and Lake Powell via Greg Hobbs.